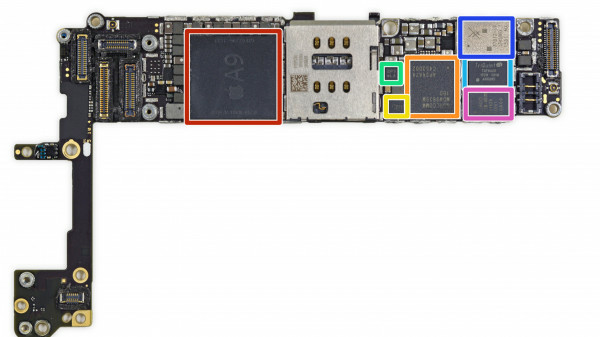 The main board of the iPhone 6s: The radio chip (Here Qualcomm) is not part of Apple's A-series chip. In the midst of major patent battle between the groups is an important manager of the chip manufacturer has made the switch to Apple publicized - there he would lead the division for the development of a radio chip. Apple has set a long-term Qualcomm manager as head of the wireless chip development. This gave the Esin Terzioglus last active as vice-president of engineering at Qualcomm known to his LinkedIn profile - He will now continue his career after nearly eight years at Qualcomm from Apple. Terzioglus passes by his own account, the development of an integrated radio chips (System on a Chip) for the iPhone Group. An on-site Apple modem for the iPhone? Has long been speculated, Apple working on an in-house modem for the iPhone. Apple controls the baseband responsible for cellular connections for iPhone and iPad for many years by Qualcomm, with the iPhone 7 also came Intel added as a supplier. Apple and Qualcomm now conduct a wide-ranging patent battle, when it comes to billions - Qualcomm wants to sue those currently of Apple's suppliers, have suspended payments at the direction of the California Group. Apple accuses Qualcomm, the business “based on older standards” and to have the dominance of the radio chip market at the same time by “Exclusion tactics and excessive royalties” to preserve. Recently, it was announced, that Apple is already prepared for the next wireless standard 5G and has for the first time applied for an experimental license for test runs in the millimeter wave range - this already indicates the growing interest of the company to its own development of wireless chips. Apple obviously wants to create more and more of the essential chips for iPhone and iPad itself: In addition to the processor, the Group will in future probably also develop the GPU completely change, the base band could then be integrated as an additional step in the A-Chip series. Greece: Growing violence of the population?